Casual Character: Jill Stein Arrested? 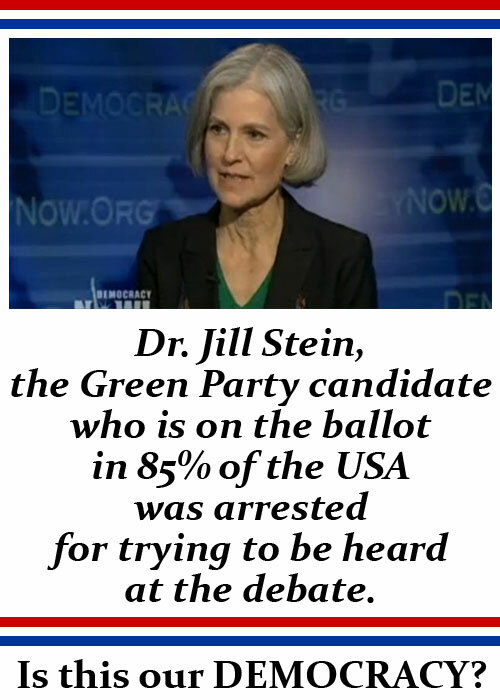 Dr. Jill Stein, the Green Party candidate who is on the ballot in 85% of the country was arrested for trying to be heard at the debate. Is this our Democracy? Whatever she was going to say, I would have liked to hear it. Regardless of your chances if you manage to be on the ballot as a candidate I think you deserve to be heard and people deserve to hear what you have to say.